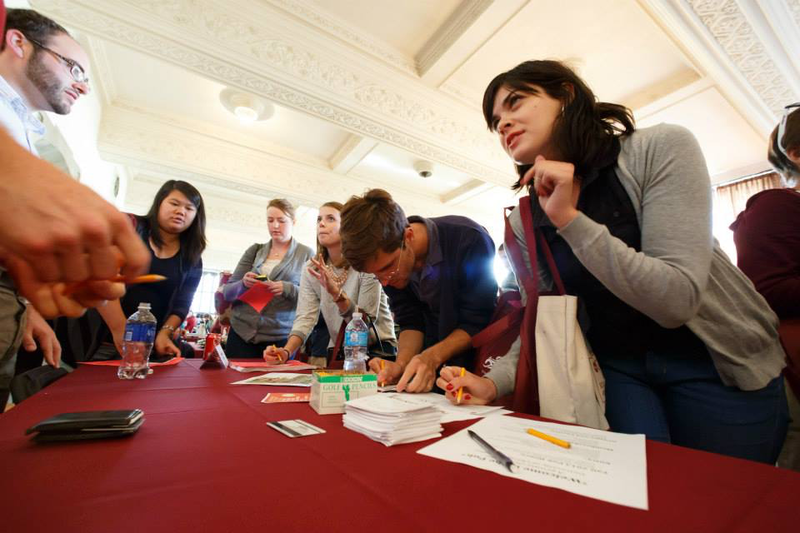 UChicagoGRAD invites you to browse the calendar of upcoming workshops, conferences, info sessions and career fairs. Register for all events in GRAD Gargoyle (tips for navigating GRAD Gargoyle can be found here). GRADUCon is the university’s annual spring career conference for graduate students, postdocs, and recent graduate alumni. The event features a full day of distinguished guest speakers, workshops, panel discussions, and informal networking sessions. GRADFair is the annual fall career fair exclusively for graduate students, postdocs, and recent graduate alumni. Attendees can find internships and full-time jobs, network with employers, and learn about future opportunities. *If you are an EMPLOYER interested in participating, please visit the GRADFair for Employers page for more info. GRADFair 2018 took place on October 18. Information for GRADFair 2019 coming soon. GRADUCon is the university’s annual spring career conference for graduate students, postdocs, and recent graduate alumni. The event features a full day of distinguished guest speakers, workshops, panel discussions, and informal networking sessions. Please click here for more information regarding the schedule and panel descriptions. Graduate students, employers, and alumni interested in more information should visit the GRADUCon homepage. They should also feel free to contact Michael Tessel at UChicagoGRAD. Empower graduate students in their career search by helping to identify the transferable skills that they are developing in the course of their academic work. Provide concrete takeaways from the event, giving graduate students specific next steps in their job search and a clearer vision of their career trajectory. Foster cross-disciplinary and cross-program conversations about various job markets and career skills. 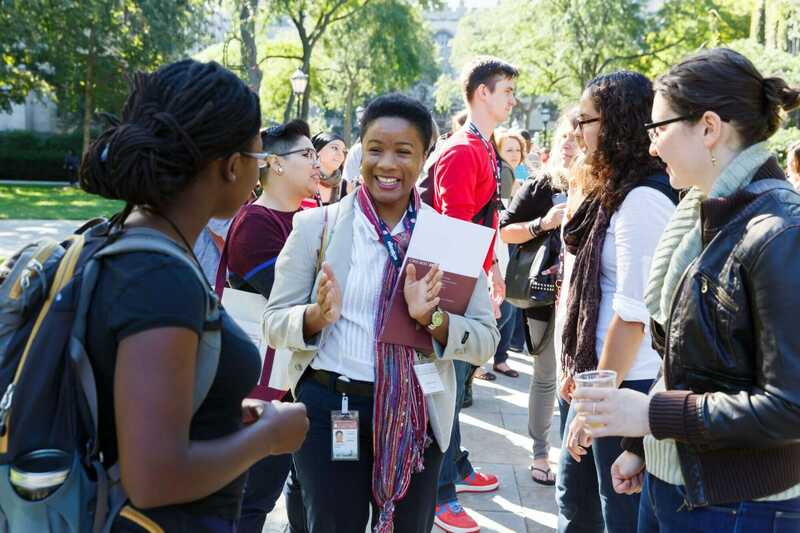 Connect graduate students with alumni of graduate programs. Graduate students and postdocs with ideas about panel discussions or input about potential speakers should feel free to contact the conference planning committee directly. The Science and Engineering Industry Expo is an annual, intimate recruitment and career exploration event, connecting UChicago PhD students and postdocs in chemistry, physics, chemical biology, biophysics, molecular engineering, computer science, and related disciplines to employers in industry and government. Employers promote their organization and screen candidates in a variety of one-on-one interactions including: short presentations, a career panel, networking lunch, and speed interviews. This event is free to attend, although we do offer various sponsorship levels which afford certain perks. Most companies send 1-2 people to attend, and while not all are actively recruiting for specific positions, they utilize the event to create more awareness for their company and to build connections within our trainee population. 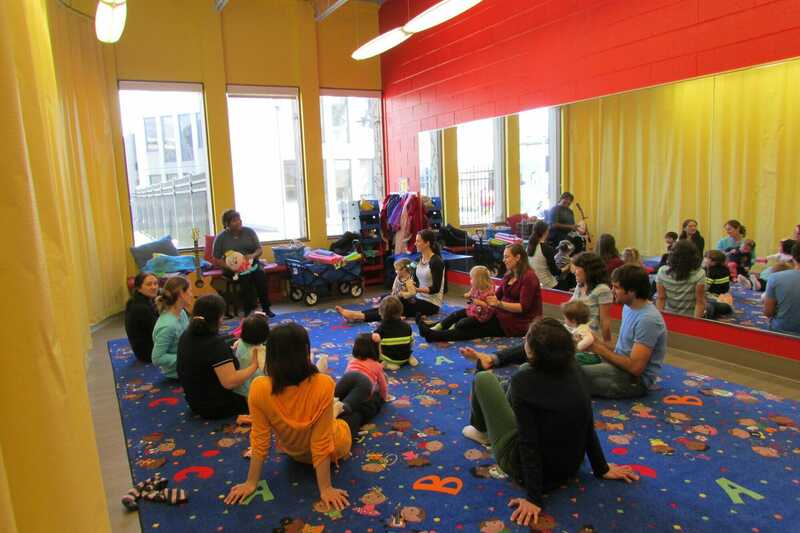 If you are interested in learning more, please contact Briana Konnick at bkonnick@uchicago.edu. Registration for the 2019 event will open next summer. Check back soon for the date for the 2019 event! And keep in mind that you do not need to be currently searching for a position to attend this event. You must submit a two-page resume by the time registration closes either directly to Briana Konnick by email or through the GRAD Gargoyle system. A suggested template for this event is here, but you do not HAVE to use this version. Whatever you submit, please keep it to two pages. If you have this document ready, please upload it into your documents in GRAD Gargoyle before you RSVP. Then, when you RSVP (Events > Career Fairs), you will be able to select the resume from your document archive. Speed Interviews: Not all attending employers are actively trying to fill a current open position, so these speed interviews can be more informational. 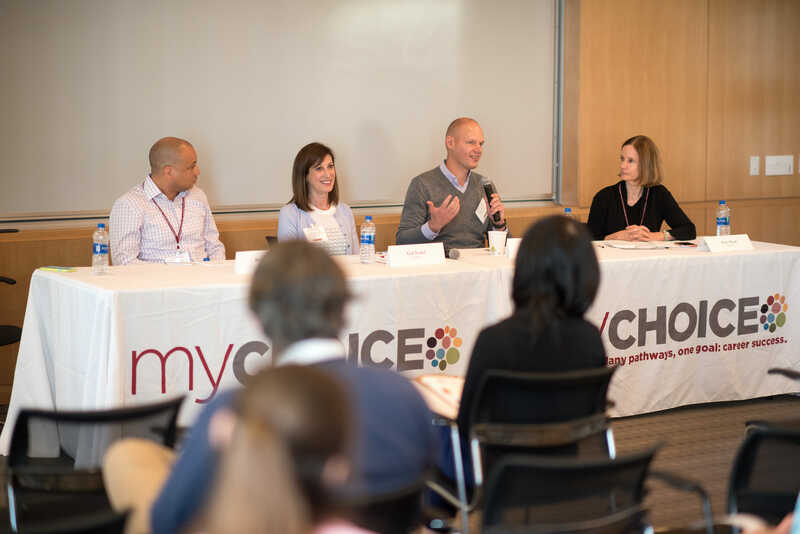 The 5th annual myCHOICE BSD Alumni Career Forum took place on Saturday, September 15, 2018. 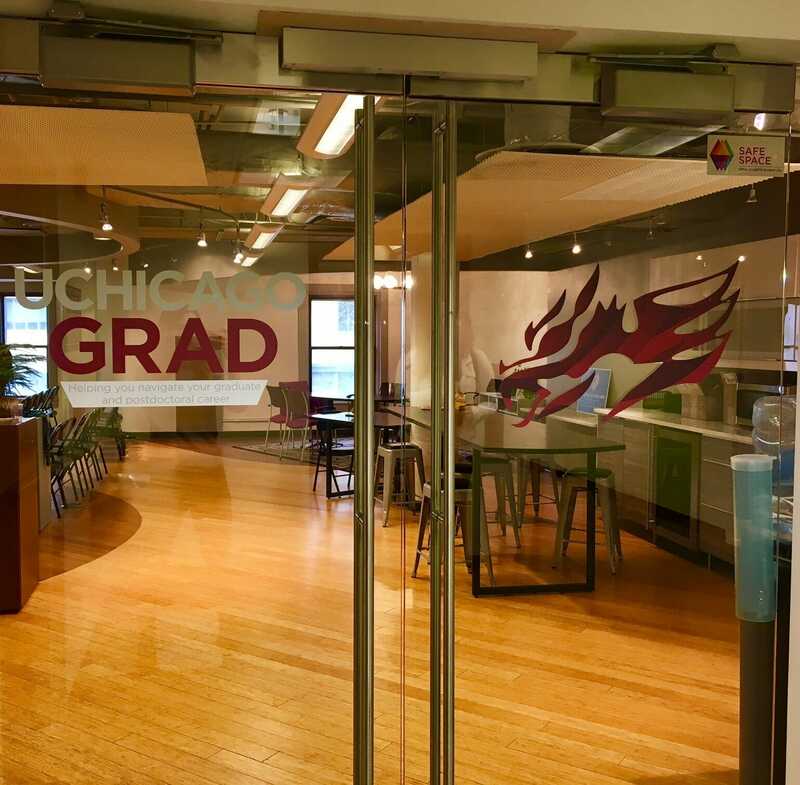 The myCHOICE BSD Alumni Career Forum is an annual event sponsored by UChicagoGRAD, myCHOICE, and the BSD Alumni Association. It is a full-day event focused on career exploration for biological sciences PhD students and postdocs. 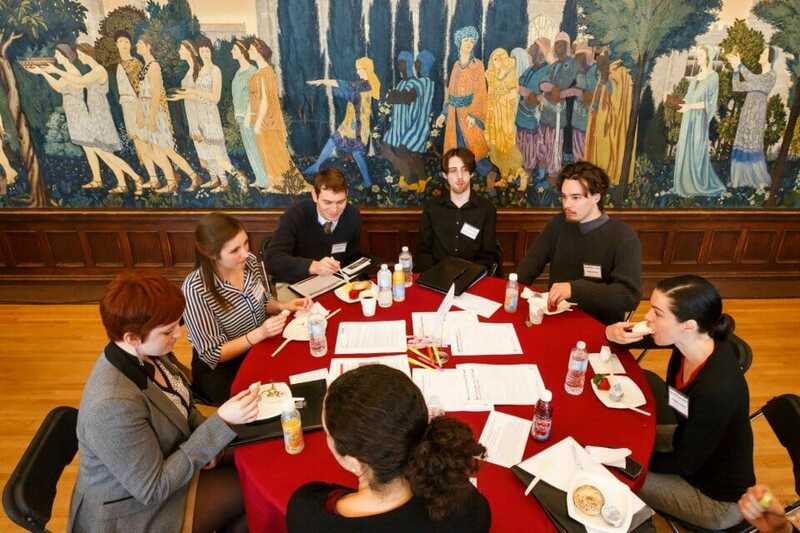 Every year, we bring back 20+ alumni with a range of career paths to share their perspective and advice through panel discussions, one-on-one conversations, and lunch round-table chats. BSD alumni Bryan Clay, Gail Farfel, Mike Seiler, and Patty Ward share the hiring manager perspective during the "What Employers Seek" panel. EMPLOYERS: Registration is now open! If you are interested in participating, please visit this page for more info.